Choose one of the 2 escape rooms available in and around Bonner Springs! Escape rooms are perfect for any occasion: a night out with friends, a date, a birthday celebration or a team-building activity. Search for clues, solve puzzles and work together to uncover the mystery – it’s time you escaped the room! With all that is at stake, what would happen if you were... Betrayed? Will you be able to pass The Exam? I had never done an escape room before. We did the Betrayal room. 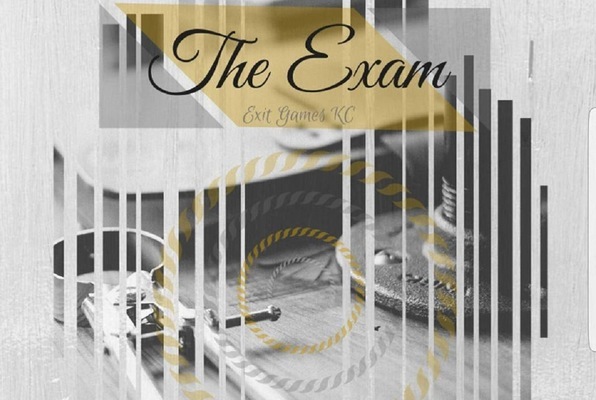 This was really fun and look forward to trying the Exam room sometime soon. Our group are escape room veterans (we've done rooms all over the country) and we really enjoyed this one! The staff are probably the nicest and most accommodating we have experienced and the room was just challenging enough to make you think and use teamwork, but attainable enough to escape. Can't wait to try their other room sometime! This was our third escape room experience and it was so much fun! The owner was very friendly and really went out of her way to make sure we had a good time. Can't wait to come back. Highly recommend this for a fun outing with friends and/or family! We had a group of 4 and had a great time trying to escape "The Exam" room! It was a lot of fun and very challenging. I would recommend a visit to Exit Games to all my friends. We will be returning! Great owners too! We did the "Exam Room" for our son's birthday. It was harder than I expected but so much fun! The people there are really nice too. Definitely a challenge but worth the time. We almost made it out in time but went over by 3 minutes! It was still really fun and I would do it again.